The deal officially kicks off today but is available indefinitely (or until DQ decides to ditch the promotion) for new app users. 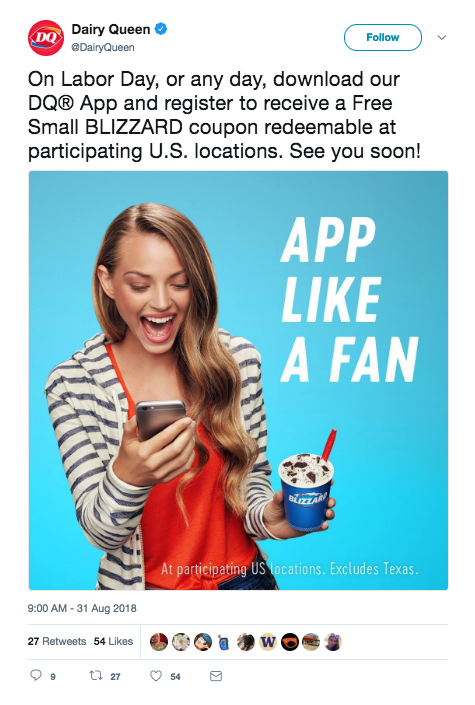 To get a Blizzard, you just need to download the app and register for an account. After you score that free Blizzard you’ll also be eligible for weekly exclusive deals on other DQ menu items. The deal is really just a ploy to get you to download the app (which arguably you can delete right after you score that free Blizzard. Chick-Fil-A recently launched a similar promotion. Customers that download its app can currently score a free pack of nuggets.